Spiders make webs. Authors have Websites. I’m committed to providing you with good content every day at NewAlbanyBooks, but on Saturdays I’ll be offering up the blogs, the personal and/or professional Websites, or publisher author pages of writers I believe you will enjoy learning more about. Today’s featured author is Susan Coventry, writer of The Queen’s Daughter, a young adult historical novel about Joan of England, daughter of Eleanor of Aquitaine and Henry II. Coventry is, almost by coincidence, a local author, but this first novel is published by Henry Holt & Co. and has been creating quite a stir in the YA publishing world. The author will be part of a triumvirate of YA authors appearing at the New Albany-Floyd County Public Library on Saturday, March 19, from 2 to 4 p.m. Coventry’s book is one that would be a great selection for mother-daughter book clubs and the historical aspects make it an outstanding choice for classrooms, too. 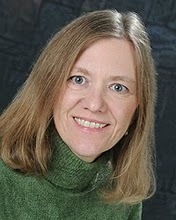 Click this link for Susan Coventry’s official Website and this one for her professional blog, ReadingWorld, which ranges far beyond young adult themes and can be another resource for you to find great reading. Randy, thanks for introducing this writer’s work and website to us. This is a wonderful feature!